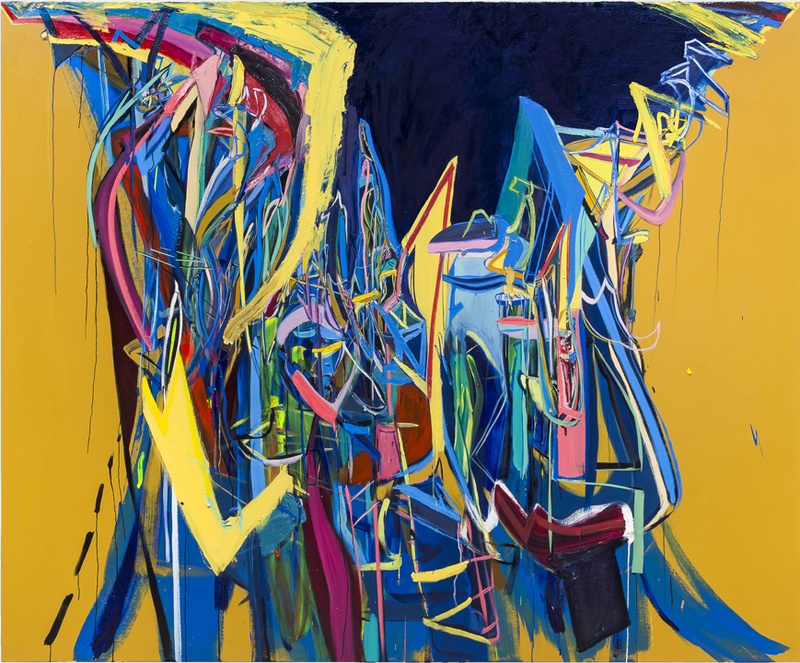 Landslide, 2015, 80 x 100 inches, oil acrylic on canvas. Represented by Mindy Solomon Gallery in Miami. Review in the LA Times by David Pagel: "A fragmented allure unfolds."